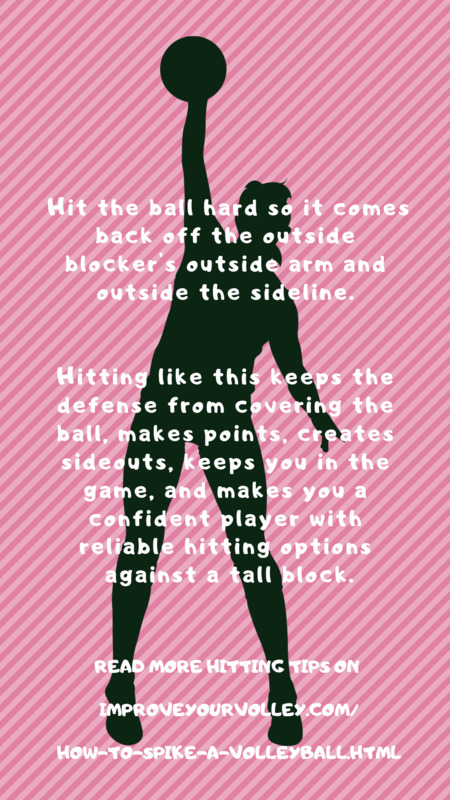 The hitting drills for volleyball that we do in semi private training and Boot Camp classes are to prepare outside hitters and middle blockers to hit confidently in various pressure packed situations. As I mentioned earlier instead of actually spiking the ball all the time, smart hitters know when and how to mix up their attack hits. 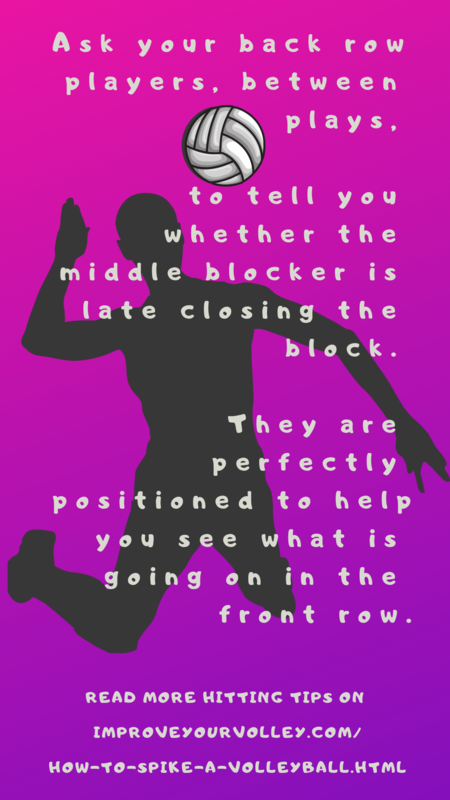 Smart players work hard in volleyball practice drills to make themselves unpredictable and hard to read by the opposing team defense. 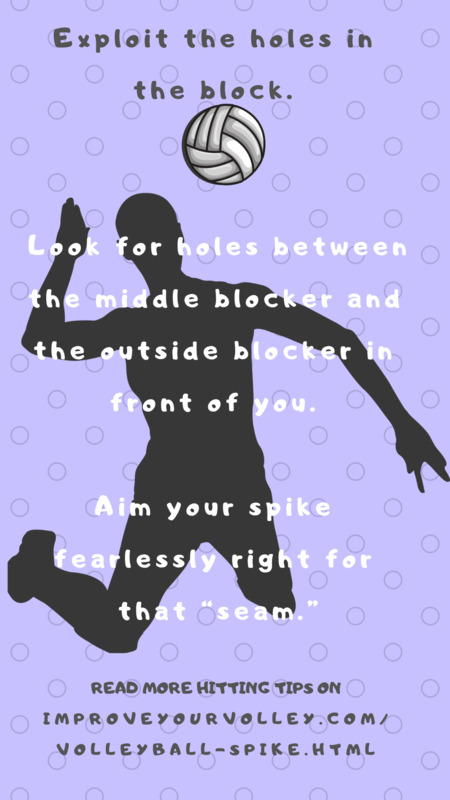 If you go up to spike the ball every time you attack, then it’s easy for the other team to anticipate what you are going to do and easy to set up a defense strategy against you. 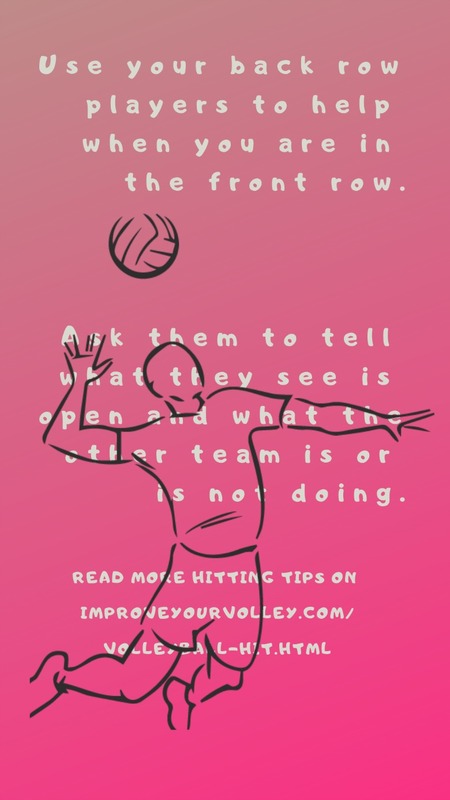 But if you mix up your shots, like tipping the ball on a good set then its harder for the opposing volleyball team to know how and when to defend your spikes and shots. Olympian Brent Hilliard coach of the UC San Diego Toreros talks about several hitting volleyball drills he does in practice to teach his hitters how to make smart choices based on what they see the block do. 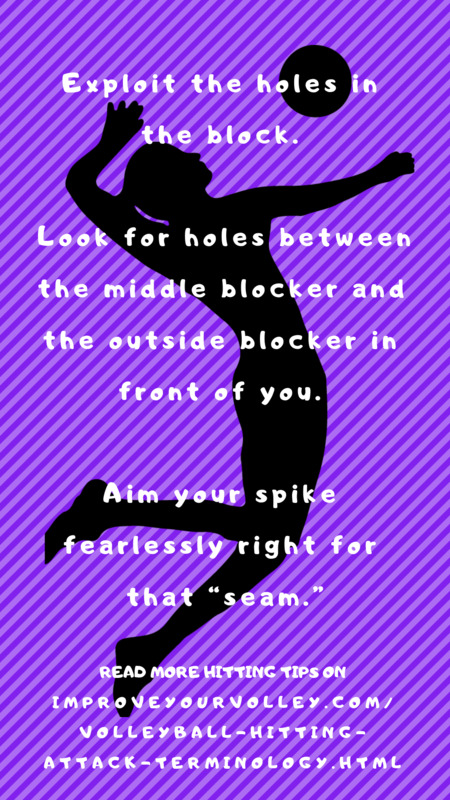 Another important spiking strategy to practice to make yourself hard to read is to learn how to spike to the deep corners of the court. 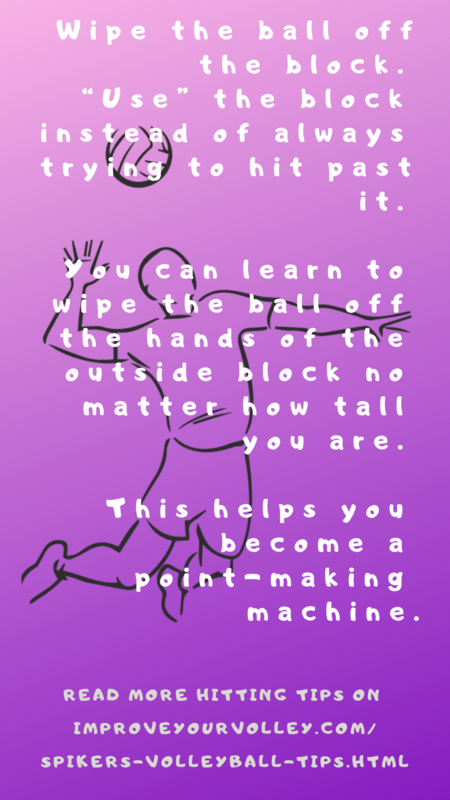 This is an effective skill for all volleyball players to learn, regardless of how tall you are. In hitting drills in practice, by training to hit high, deep and long in the court, you train your body to automatically spike to the open areas of the court. One of the best volleyball drills for hitting, I use in practices and in our weekly Friday Night Lights Open gym at Stupak Community Center, that will help you spike to the deep corners of the court is to play deep court double or triples, or four players against four players in volleyball practice. This also has to do with mixing up your shots. To mix up your shots be prepared to to hit the imperfect out-of-system sets,and instead be ready to tip the good 'in-system" sets. 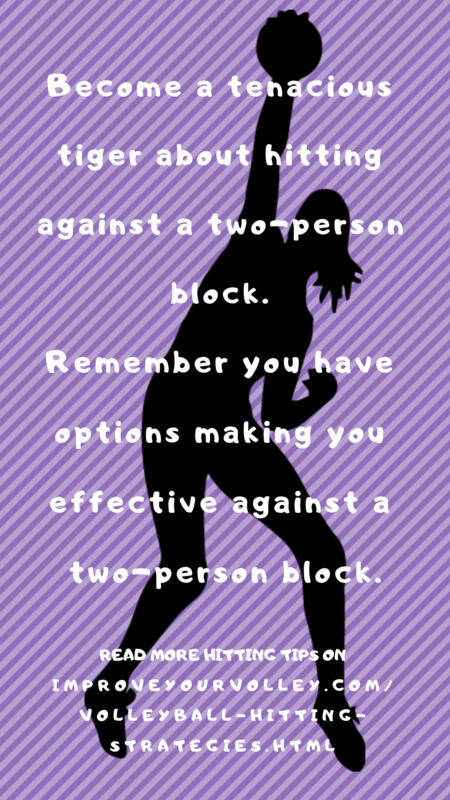 This doesn’t apply if you are spiking the ball against one blocker, if that’s the case then you should go ahead and spike the ball hard since you have the advantage. 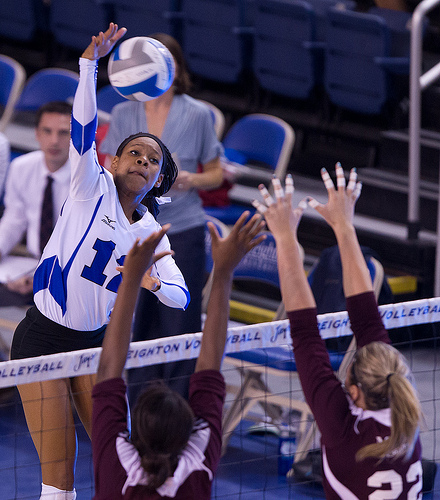 But, in a transition play against a double block, if you get a good set, then consider tipping the ball. Why? Because the defense is expecting you to spike the ball, because just like you see you've been given a great set, so do they! So they expect you to hit it hard and there’s a good chance you will catch them leaning back on their heels waiting to absorb your hard hit. On the other hand, if your setter sets you a high ball that’s a little off the net, since its your job as the outside hitter to hit everything, this is the imperfect set that you really want to spike. 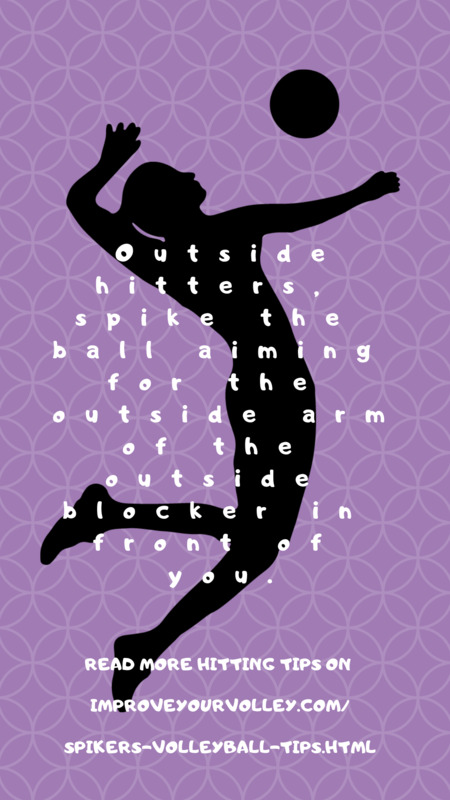 As a spiker even after hours of volleyball hitting drills you can’t expect your setter to give you a perfect set every time you have to be ready to anticipate the need to move in case your setter doesn’t get the ball all the way outside to you. You want to include in your hitting drills for volleyball, reps that help you learn how to spike the ugly sets and tip the beautiful ones, so you become unpredictable in the front row.